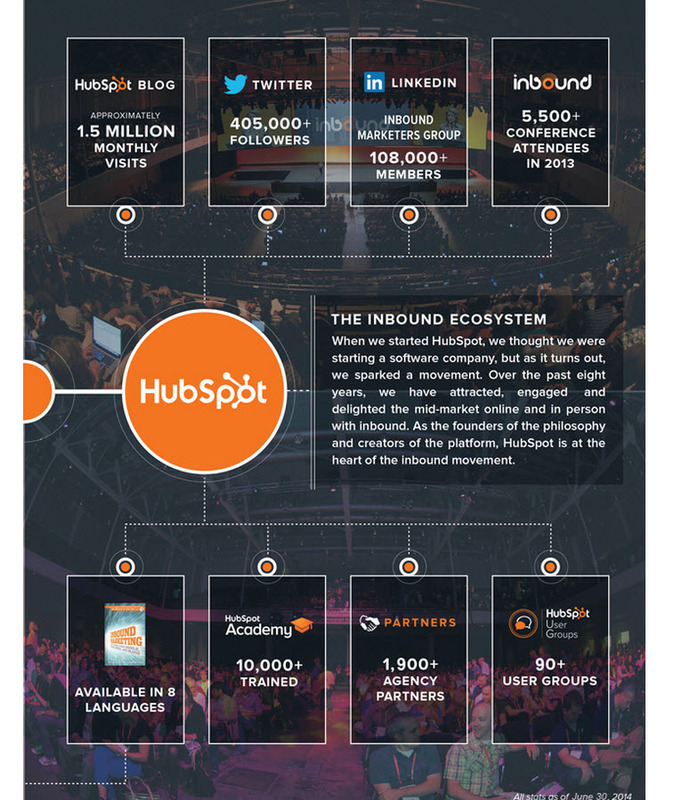 We started HubSpot with one simple goal: make it easier to get going with inbound, so businesses could get growing. One platform to learn. One password to remember. One bill to pay. And, one phone number to call. One integrated system, designed from the ground up to transform how organizations market and sell. To achieve our vision of transforming how organizations market and sell, we had to attract and retain the best people in the world. HubSpot’s culture is predicated on radical transparency, individual autonomy and enlightened empathy. We codified and publicly shared our approach to this different kind of workplace in HubSpot’s Culture Code slide deck. It has been viewed over a million times, shared on social media thousands of times, and received remarkable acclaim. Our culture is a powerful weapon in the battle for amazing people. Mid-market defined as companies between 10 and 2,000 employees. We count enterprise as above 1000 customers so this seems like a broad definition of the mid-market. They made a switch from just social and SEO to do marketing automation. I think this helped them move up market and charge more. One thing you learn from enterprise S-1s is that while other costs have dropped dramatically the cost of enterprise sales teams has not. Marketing technology is a crowded space. It’s not often that a company achieves enough scale to IPO, so congrats to that team. I met one of the founders a few years ago at Techstar’s FounderCon and we had their CMO Mike Volpi to our event last year and both of them were incredible nice and helpful. Overall, I expect this IPO to work out well. They have a great team and the market is only growing. They used to have a big retention problem, but they seemed to have that under control now and they are moving up-market and capturing more and more money. I think they’ll do great.